From Ilaria D'Amico and Ilary Blasi to Javier Zanetti, passing through many more or less famous protagonists of the world of sport and entertainment, many have supported and joined the initiative "Women's Football - I Like it", launched by Mr. Luigi Magurno and promoted by calciodonne.it for the dissemination and promotion of women's football. CONTINUES THE SUCCESS OF "FEMALE SOCCER: I LIKE IT" AND THE UNDER 17 IS AWARDED A WORLD BRONZE. It was the end of May when the "Women's Football: I like it" competition was born. A clear message that launched by Mr. Luigi Magurno who, after two years spent with effort and passion in training the Giovanissime del Tradate team, wanted to involve the network's audience in a beautiful joint initiative. We are all constantly connected, connected with each other through social networks and tablets of all kinds. It is so simple and daily to give our approval to concepts, knowledge and photographs published online: just a like and let everyone know. 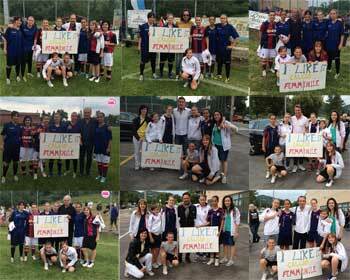 This is the spirit that moves word of mouth "Women's Football: I like it". 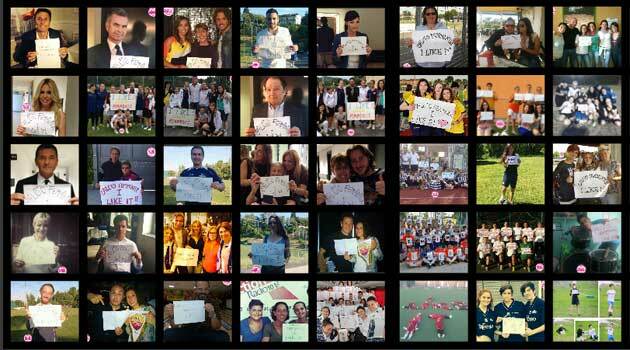 Thanks to the collaboration with the magazine www.calciodonne.it, which allowed the initiative to find a dedicated space, many photographs were sent from every part of Italy, received by the editorial staff and published online. Read more: CONTINUES THE SUCCESS OF "FEMALE SOCCER: I LIKE IT" AND THE UNDER 17 IS AWARDED A WORLD BRONZE. Famous testimonies for women's football continue to come with the initiative "Women's Football, I like it" conceived by Luigi Magurno, coach of the very young of the Tradate and targata calciodonne.it. The "like" comes from Micaela Calcagno, a professional journalist, who joined Mediaset with the sports programs "Studio Sport" and "Domenica stadio" and then continued with the premium Mediaset sports networks. Together with the good and beautiful Micaela, the new president of Bari football, Gianluca Paparesta, former footballer and commentator of Mediaset Premium, a favorite of Bari fans for having bought, with his team, the company AS BAri for 4,8 million euro, renaming it Football Club Bari 1908, and opening the doors of S.Nicola to the newly promoted in Serie A of Pink Sport Bari. A good omen for the girls from Bari and for women's football. Become a testimonial for women's football too! Bologna joins the champions of the past and celebrates the 50 anniversary of the 7 ° rossoblu championship. The Imolese women's football of President Milena Gandolfi was called to the party of the 50 anniversary of the last rossoblù championship with 5 girls (Filippi, Baldassarri, Soglia and Bouazza deployed with Inter and Errico with Bologna) and the opportunity is been propitious to involve some champions and vips with the initiative "Women's Football, I like it"
Totò Schillaci, Gianluca Pagliuca, mister Gigi Maifredi, Franco Colomba and Andrea Mingardi, Neargo, Andrea Degli Esporti, Fabio Benetti, Poli, Omar Camporese have joined as a testimonial of women's football, thanks to President Milena Gandolfi and Mr. Ademaro Mosconi who have succeeded to involve them in our initiative and make the movement known in front of a beautiful audience of champions and athletes. In the field the illustrious names that have made the history of football that have come together to give life to the playoff re-enactment of the 1964 shield between Bologna and Inter. Poli, Luppi, Cervellati, Ivano Bonetti, Zanotti, just to make some Rossoblu names with Mister Gigi Maifredi to direct the orchestra. The game ended with the result of 4 in 4.